Inhalers—what options do you have? Jane Scullion explores the increasing complexity of the multitude of inhaler devices we have available to us and the therapeutic options they can offer, in the second of a mini-series of feature articles. selecting the most appropriate inhaler device and therapeutic for an individual patient. I n a previous article we looked at the development and the distinction between our most commonly used inhalers in the UK; the metered-dose inhaler (MDI) and the less commonly prescribed dry-powder inhaler (DPI).1 Despite the steps for using these inhalers being relatively similar they require different inspiratory flow rates—inhalation should be slow and steady for the MDI and quick and deep for the DPI.2 This article looks at the increasing complexity of the multitude of MDI and DPI devices that are available and the therapeutic options they can offer. Is it easy to prepare/load? Is there a dose counter or can you tell easily when the device is empty? How many doses does it contain? Does the dose counter count down if the person fiddles with the inhaler or is it accurate in terms of doses taken? Is it breath actuated or does it need coordination? Can you load multiple doses? Is there feedback that the dose has been delivered, audible or visual? Is there a taste or cold freon effect? What inspiratory flow rate do you need? does the device have a range of therapeutic options? what is the licensed dose for each of these for asthma? what is the licensed dose for each of these for COPD? what are the licensing indications for different age groups? For patients requiring inhaled therapies, we should use the appropriate medication for symptoms while being aware of the availability of other drugs in the same device, device effectiveness, personal technique, inspiratory flow rate, personal experience with the device, cost, and local formularies.9 Some patients, including the elderly and children, may find it difficult to use certain inhaler devices and consideration should be given to this. In terms of prescribing, we should prescribe both the drug and the device.10 Given the growth of generic formulations and new devices it is also recommended that we should prescribe by brand name,4 this prevents the dispensing of inhaler devices that the patient may not have seen before and may not be able to use. In the third article in this mini-series Jane Scullion will consider issues specific to adults and children when prescribing inhalers for the treatment of respiratory conditions. 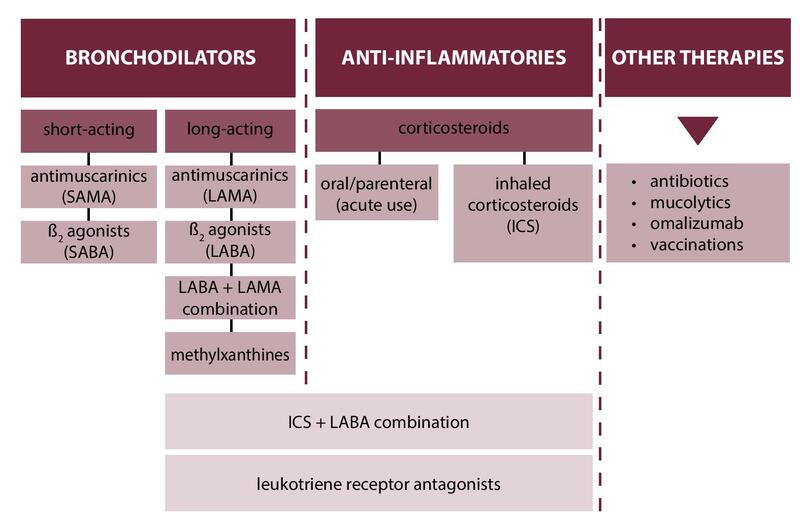 Barnes N. The properties of inhaled corticosteroids: similarities and differences. Primary Care Respiratory Journal 2007; 16 (3): 149–154. Lipworth B. Correspondence: Triple inhaler therapy for COPD. Thorax 2015; 70: 991. 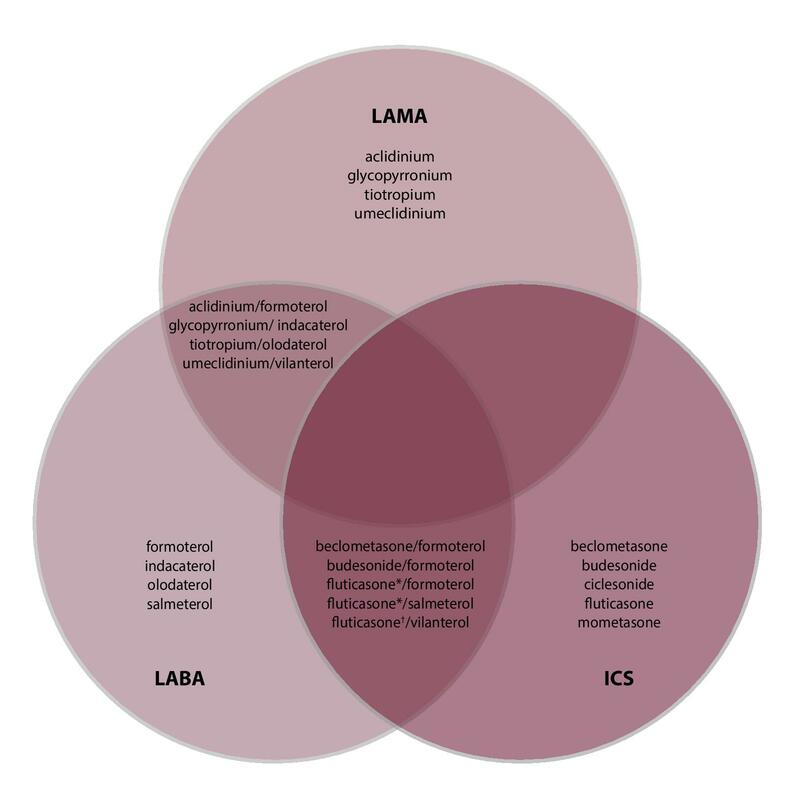 Cazzola M, Lopez-Campos J, Puente-Maestu L. The MABA approach: a new option to improve bronchodilator therapy. European Respiratory Journal 2013; 42: 885–887. Scullion J, Holmes S. Maximising the benefits of inhalation therapy. Practice Nursing 2013; 24 (12): 592–598.